The above image was created using nupastel Prussian blue and white. The above drawing was done using black and white charcoal. The image above was created using black and white prismacolor pencil along with burnt ochre to add warm flesh tones in the light and warm reflected light. Drawing on toned paper is an incredible time saver. 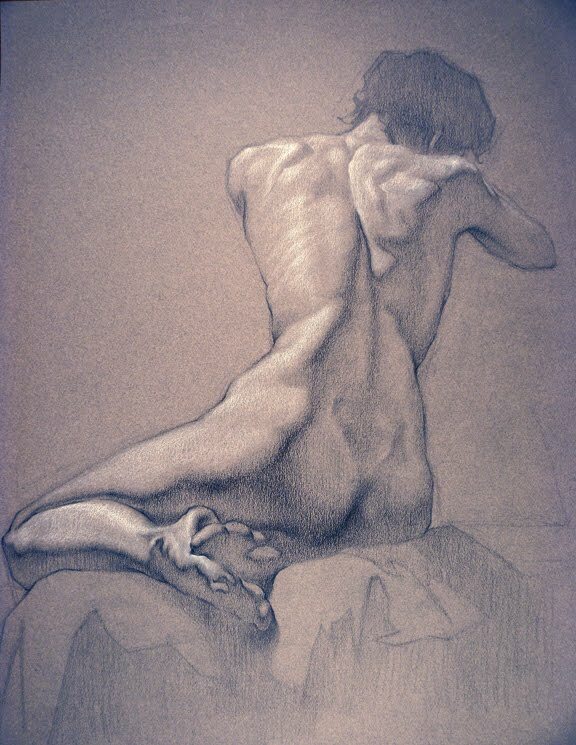 If used effectively the value of the toned paper becomes the mid tone that represents the darkest values in the areas receiving light and the lightest values in the shadow areas that represent reflected light. 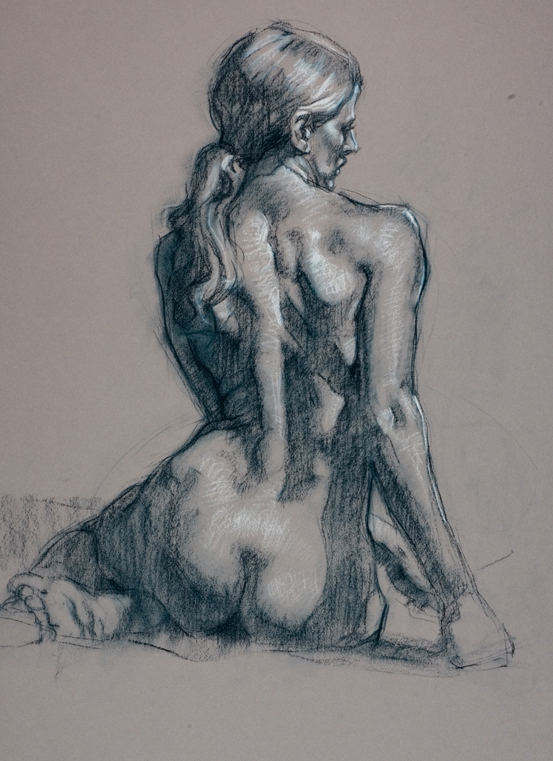 The other challenge is never letting the black pencil and white mix together as it creates an undesirable blue-gray color inconsistent with the tone and hue of the paper. I really enjoy your new blog. 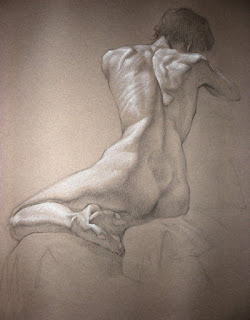 I have been drawing a long time and attend life drawing classes regularly. I am just starting to use Colored Pencils and your images gives me great ideas for handling the values. I especially like the 3rd one above with the Burnt Ochre. Beautiful drawings. Beside the process-oriented reasons for using toned paper, I just like the look of it. John, it is only fitting that I respond to this nearly on the second anniversary of your post. My apologies for being such a poor blogger. 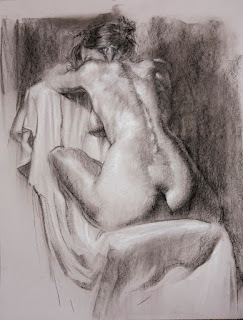 Happy you enjoy the images and content; best to you in your figure drawing endeavors. Beautiful drawings! I've always loved that Prussian Blue Nupastel color but could never find a use for it. I can't wait to try that with the figure. The larger-size images of the splendid drawings presented on this page are no longer available on the server. Can this be fixed, please?